‘BALENCIAGA AND SPAIN:THE ART OF BALENCIAGA’ – Curated by Chutzpah favourite, the charming Hamish Bowles, this exhibition at the de Young Museum in San Francisco features 120 couture pieces from the man described by Cecil Beaton as “Fashion’s Picasso”. Ghesquiére who? DIANE VINTAGE – Doyenne of trans-seasonal, trans-generation dressing Diane Von Furstenberg bounces back from her skiing accident with re-issues of classic designs, an exhibition in Beijing, and a rumoured collection for Gap Kids as well as a new fragrance in the pipeline. No surgery either. An icon. ‘SHAPESHIFTING’ BY YOUNG GALAXY – Canadians release first feel-good album of the Summer, courtesy of some on-point production from one half of Scandinavian Balearic Gods Studio. 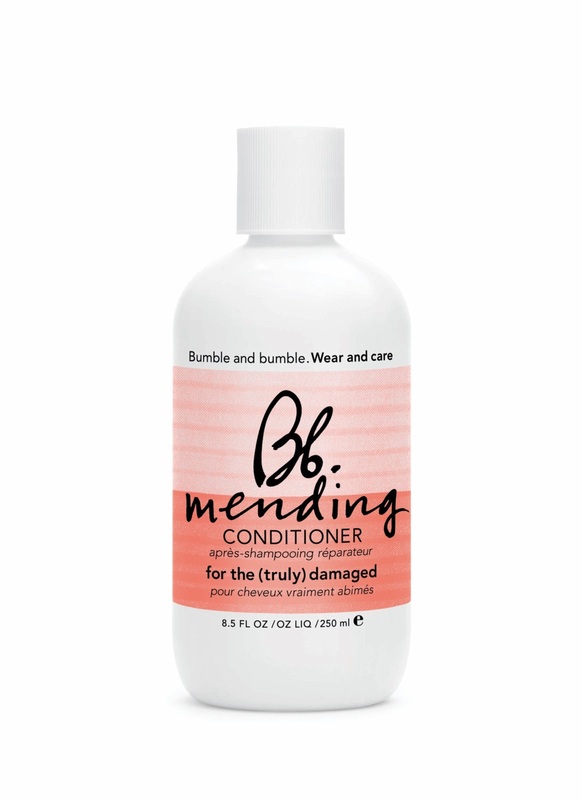 BUMBLE AND BUMBLE’S MENDING CONDITIONER – It’s all system’s go on Spring hair repair and we can’t get enough of this award winning premium product. Smells so good you could use it as a fragrance, it gets rid of knots as it slides on and makes hair super soft to touch. £23.50 (250ml) from stockists including Windle & Moodie, Space NK, Liberty, Harrods and Selfridges. INANE COMMENTS BY MODELS – For example. “I’m aiming for the return of the supermodel: we need to have real characters that women can relate to.” by Daisy Lowe. Now we could throw out there, ‘living off the names of sem-famous parentage’ but that wouldn’t be fair, would it? *THAT* MARK’S AND SPENCER CAMPAIGN – A return to more middle aged than middle England. The hen party and styling from Hell continues to turn shoppers off in their droves. BLISTERS Newly bared feet in Summer shoes and sandals. Compeed at the ready, everyone. THE CONCEPT OF DRY SHAMPOO – Yes, we know it’s all the rage and brilliant for ‘time short’ career women but it still is tinged with a tad grubby to us despite all the fabulous products that are being released like the latest innovative, Dark Dry shampoo by Lee Stafford. I’ll bet a large selection of women who use dry shampoo also do (pet hate) full face macquillage on the tube, which is just gross. NB. GET UP EARLIER! THE GALLIANO TRIAL – Listed as ‘an event’ fashion media sources. We’ll leave it to ill-informed Internet commentators and kneejerk tabloid rubberneckers, thank_ you_very_much. CAROLE MIDDLETON DRESSING LIKE HER DAUGHTERS – Team Chutzpah can spot a pushy parent a mile off, and we suspect that Carole thinks that this is all about her. 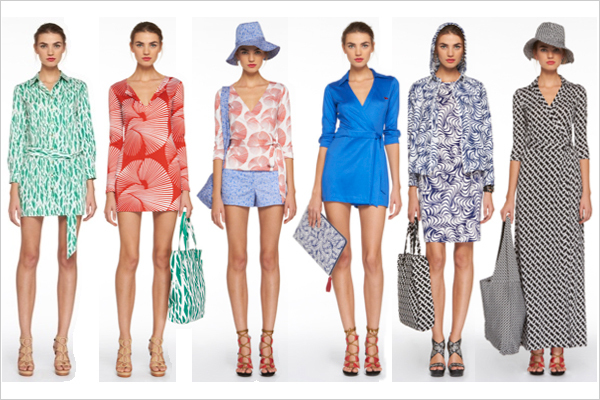 Hopefully, she won’t be sporting the same bikinis that her daughter picked up from Reiss for the honeymoon. Doors to MUTTON anyone? RED JEANS – Again? At least it’s not red needle cords….wait you mean, it is? Crivvens. BRAND TATTOOS – Even if Tom Ford offered us free clothes for life…well, okay, bad example. THE PATRICIA FIELD/KOTEX COLLABORATION – A low point for everyone concerned. BOOM BOOM BASE CAR STEREO SYSTEMS AT THE FIRST SIGN OF SUN – Urban living, eh? Any comments on this week’s Barometer likes and dislikes jointly compiled by @TeamChutzpah and Katie Chutzpah? Finally, someone who recognises the hypocrisy of Vivienne Westwood! She preaches not to buy too many clothes and churns out overpriced keyrings and purses like there’s no tomorrow. Then there’s the case of being a punk turned Tory member…don’t get me started! But Chutzpah, dry shampoo is a saviour, not for skanky hair days, but volume! Batiste brown is still the best. Also looking forward to seeing the Balenciaga Spain book. If Hamish Bowles was involved, it must be worth reading. Bumble and Bumble conditioners are amazing, I need to try this one out… I löööve the Coco conditioner, and the Deeeep treatment.